What Is Under That Carpet? Many older buildings, especially those built prior to the 1960s, very likely have hardwood floors under that ugly, stained excuse of a carpet. 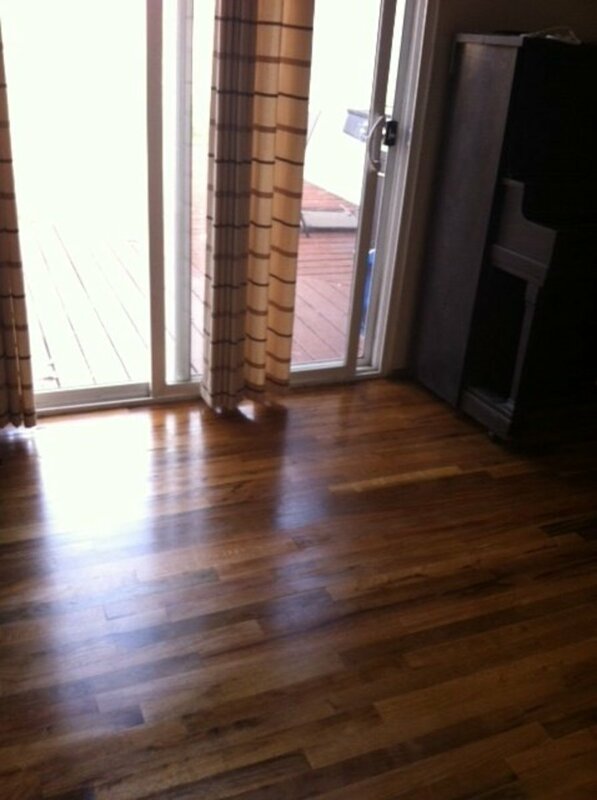 Originally, hardwood floors were strictly structural. The planking that made up the flooring ran at right angles to the underlying joists. This made for a very strong and stable structure. Not only that, but wood floors are very pretty to look at and considerably cleaner and easier to clean than any carpet. Cleaning a hardwood floor is much easier and faster than cleaning a carpeted area, especially if the object is to get a thorough cleaning. Even with a high-quality vacuum cleaner, carpets trap dirt. Worse, they also trap allergens, dust, and germs. This is not as much of a problem with hardwood floors. Dust is easy to get up with a dust mop, and germs can be banished with a regular dose of wood floor soap. It looks much nicer, too. Still want a carpet? Use a throw rug. After you pull all the carpet up, some staples, nails, glue, and carpet strips will remain. Carpet strips: These are narrow, usually wooden strips with bent nail heads sticking out in the wrong direction. They are designed to grab the carpet from the underside so that the installer can pull that carpet taut and adhere it there, gripped in place by the aforementioned nails. These strips are a pain, frankly, and they'll take a fair amount of time to remove. Expect to spend a day doing this in an average-sized home (say 500 to 800 square feet). There are some tricks to removing them, and I'll share them below. For more information, read How to Remove Carpet Without Ruining Your Hardwood Floor. A good hardwood floor is exactly that, hard wood. Despite appearances, you really don't have to worry about scraping or gouging it unless you get just a little too radical. After all, you are going to sand the floor if for no other reason than to get it flat and level again. For that reason, I use a large, long-handled scraper to remove the strips. Aim the business end of the scraper at the strip closest to where the nail is and slam it under the strip. With careful aim, you won't gouge or scrape the floor, and you'll be able to drive the edge all the way under the nail. Now that it's there, push down on the handle to pry up the nail. With a touch of practice, you can make this long job much easier on yourself and suffer much less back pain and sweat. Of course, there will be areas where there's not enough room to use a scraper and there, you'll want to use a two-foot pry bar. A good pry bar should have a hooked section on one end, a straighter area on the other, and a nail removal "oval" near the straighter end. You can also use a carpenter's claw hammer. This is a hammer with a claw on the opposite end with a distinctive angle on the claw. 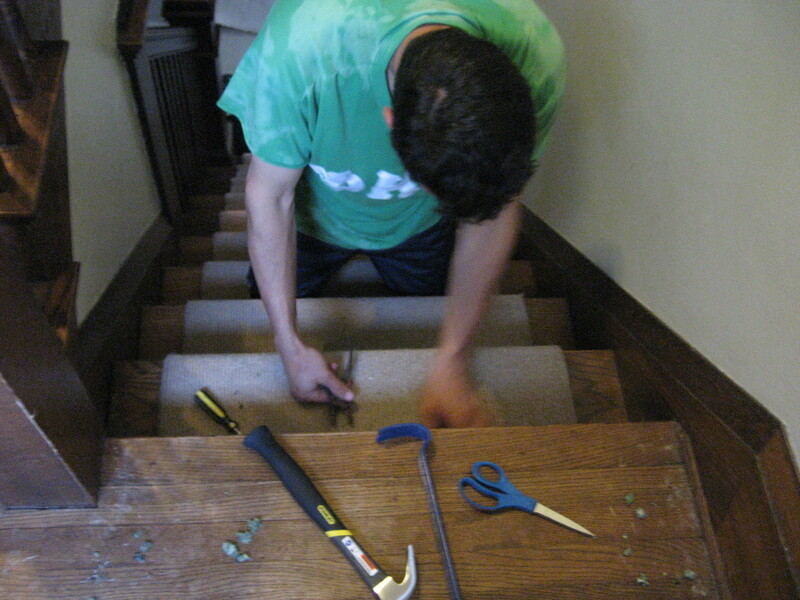 If you are worried about scuffing the floor, skip the floor scraper and stick to the pry bar. Use some scrap wood strips (thin ones are best) between the tool and the floor. This way the scrap wood will take the punishment, not your floor. Place thin scraps of wood between your tool and the floor. This way, the scrap wood will take the punishment, not your floor. Contractors will often use glue to fasten the foam or felt under the carpet to the floor. Assuming you've already removed the carpet, you still have to get rid of the glue. First, try the scraper described above. This should remove at least the surface glue to some extent. If it's been there a while, even a scraper might not work. For this situation, use heat or dry ice. For heat, use a heat gun or an iron. For dry ice, you should be able to find a supplier with a few phone calls. Be sure to take a cheap foam cooler with you and some good heavy gloves. Leather or new faux-leather crew gloves should work well as long as you don't hold the ice too long. Place the dry ice on the glue for about a minute and then use a sharp paint scraper to get it up. The cold dry ice will make this job much easier. Sometimes, contractors will use staples instead of glue to hold down the carpet pad. If this is the case, simply remove them with a good set of pliers. The pliers should be well-crafted to the point that when the jaws are closed, there are no gaps between the two sides, and the flush end should be even on both sides, e.g., when closed, the blunt end of the pliers should form one solid, level surface. To remove the staple, grab it with the pliers, grip the pliers tightly, and pull straight up. You can find all of them (which can be a daunting task, since they are so small) by passing your gloved hand over the entire surface. 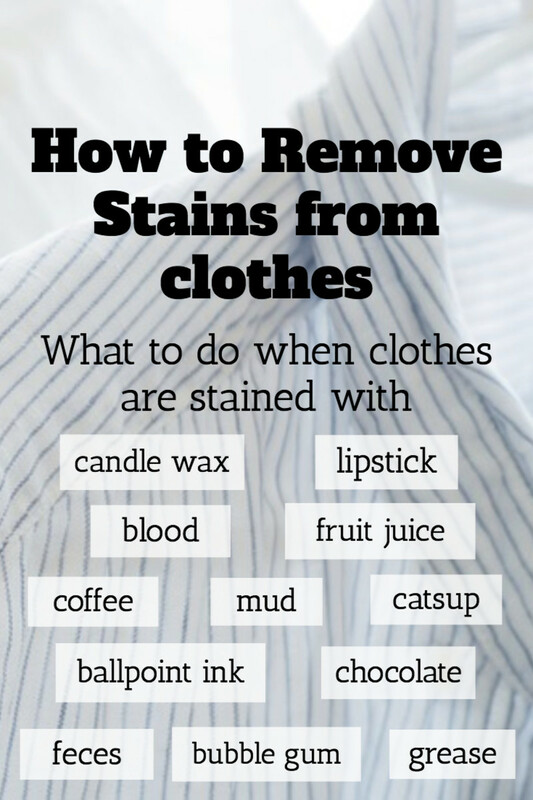 Stains are a real problem. They can be shallow or deep. The problem, of course, is that you really have no idea how deep a stain is until you start sanding to remove the old finish. There are a number of products out there now that do a halfway decent job of what used to be impossible. They are costly, though, and designed to deal with a particular kind of stain. Try the methods below before spending $20 or so on a product that may not do the job. First, you should try a good wood cleaner. 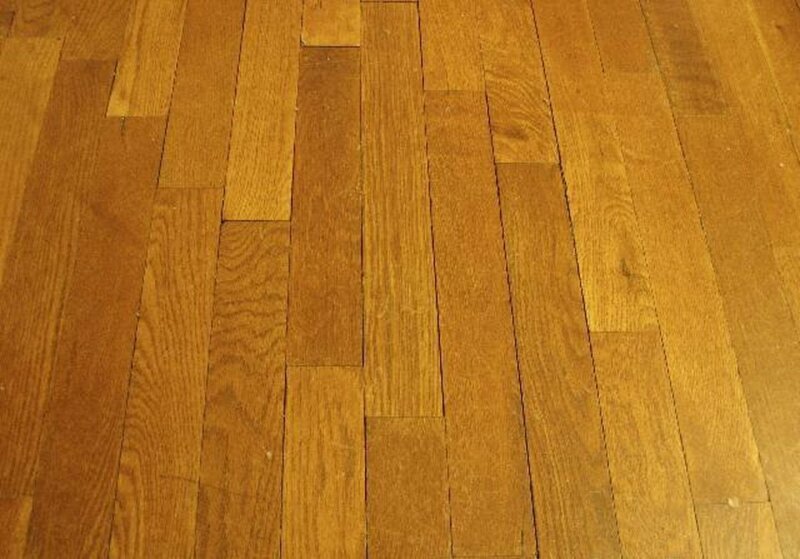 Most makers of stain and urethane also make wood floor cleaners. This way you can tell genuine stains from just plain dirt. 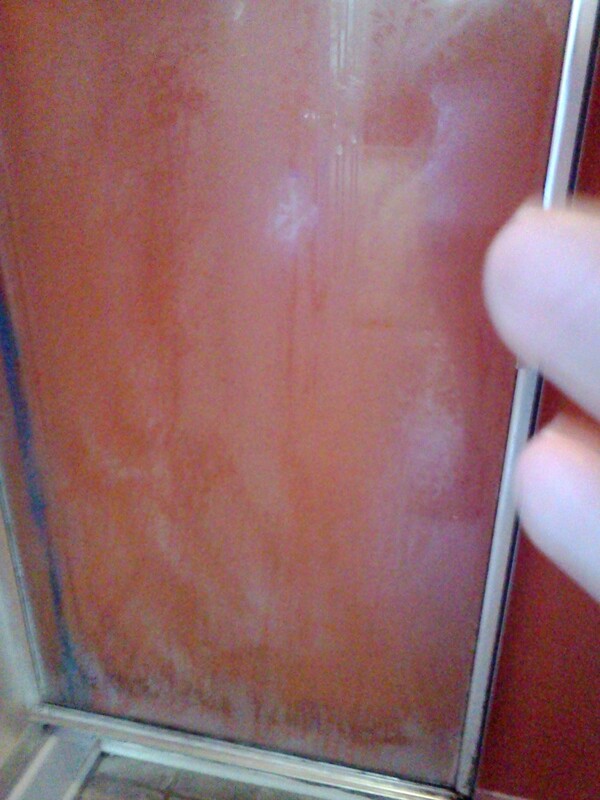 Water marks: Try rubbing the area with vegetable oil and then wipe dry. White marks: Make a paste of ash (from your grill) and vegetable oil. Rub this on the mark until it disappears, then wipe dry. Alcohol or milk: Rub the stain with rottenstone (a very fine powder from rock, also known as tripoli), followed by a damp cloth then a dry cloth rubdown. Light burns (cigarette burns, for example): Rub with rottenstone and/or linseed oil along the grain until the burn disappears. Linseed oil will blend into the wood and harden. Mildew: Dry the area as much as possible, and then wash with washing soda or trisodium phosphate (a common laundry detergent additive). Once clean, dry immediately. If the floor is still wet, dry with a portable heater or infrared heat lamp at a safe distance of about two to three feet. Other stains: Try a rubdown with mineral spirits on a rag. Do not pour mineral spirits directly on the floor. Apply to a rag and then apply the rag to the stain. Follow up with a clean, dry rag to remove the mineral spirits. Mineral spirits will also evaporate over time. If none of these methods work, the stain is likely very deep, and you may consider replacing the offending plank. This could be a very expensive proposition. Knot-free wood is very hard to find these days, especially in oak, the classic flooring material. Of course, you'll also have to determine what type of wood you are replacing to get the right match. There are many varieties (species) out there, and they've been used for centuries. These include, in order of current popularity, oak, pine, walnut, ash, beech, birch, cherry, hickory, chestnut, maple, and pecan. Oak was by far the most popular in the past with a nice hard pine such as white pine, and long leaf heart pine second. The most popular hardwood today is not even wood; it's a type of grass called bamboo. Bamboo is perhaps the best material for flooring these days. It grows fast, is very hard, resists stains, and wears very well. I also personally like the way it looks. As to what type of plank you purchase, maybe a knot here or there won't matter to you, but if you are a purist, spring for the more expensive blemish-free plank. They are easy enough to spot. After all, this is where a branch grew of out of the trunk of the tree. It looks very much like a round spot or oval, and it's usually darker than the surrounding wood. If you do opt to replace a few planks of wood on your floor, be sure to determine the species (see above) before going down to the lumberyard. The easiest way to do this, of course, is to remove the offending plank and take it with you. Typically, planking comes in particular widths, the most common of which is 2 and 1/4 inches. Early American flooring came in various widths per board, ranging from a narrow three inches to a wide six inches. 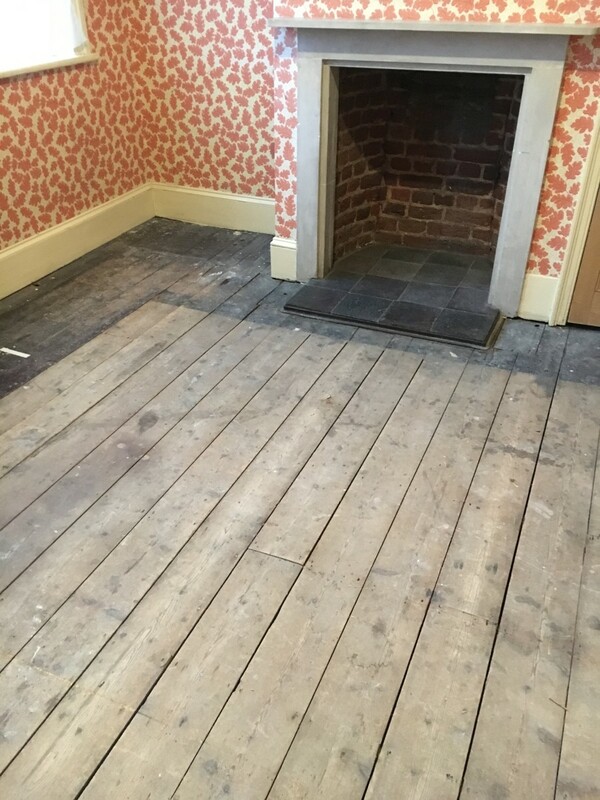 It wasn't until Victorian times and the advent of the machine age that boards came in a standard width for flooring. Getting the width of the replacement plank or strip is as important as getting the species correct. Note: A strip is any board under three inches. A plank is any board at or over three inches. If you live in an exceptionally wet or dry environment, you may want your plank or strip to "acclimatize" before installation. This may take a week or two, but what it will do is allow your plank or strip to have the same moisture content as the surrounding floor. This will prevent shrinkage or expansion after installation. Check with a hygrometer. Test the surrounding wood and then the plank or strip. If they are within 2% or 3% of each other in water content, it's safe to install. Any bigger difference and you should let the plank or strip sit in the same room until its moisture content is the same as the floor. If you can't remove the burn as described above (by rubbing with rottenstone and/or linseed oil along the grain until the burn disappears), you are taking a gamble. With oak or ash, it's very hard to tell just how deep a burn goes. You can certainly try sanding it away, but you might want to be prepared to replace the plank. Sanding: If sanding away a burn, you'll need to sand a much larger area than just the burned spot to avoid making a depression in the flooring, but keep in mind that one of your objectives is to end up with a flat level floor that your furniture will sit on properly. Replacing: If you replace the offending plank after sanding the entire floor, you'll now have a slat that's slightly thicker than the rest of the floor, so bear this in mind as you are trying to remove the burn or other stain. There are all sorts of solvents for removing paint these days, but they come with their own built-in problems. If you do use a solvent, you'll also have to remove any traces of the solvent. This alone could cause a delay in finishing your floor as you wait for the solvent remover to dry. The best way to remove paint, particularly latex, is with a heat gun and a paint scraper. Of course, if you've never done it before, it's going to take a bit of practice. No, you aren't likely to set the floor on fire, but applying too much heat or heat for too long will simply waste your time and cause the job to take longer. A good heat gun only takes a few seconds to get the offending paint soft enough to remove, and then a good sharp-edged scraper will make short work of it, no matter how long the paint has been there. I suggest practicing heating and scraping on an area of the floor where mistakes aren't going to haunt you every time you look down. The amount of burned or stained wood and or surface wax/varnish/sealer you have to remove is the determining factor to a sanding machine. 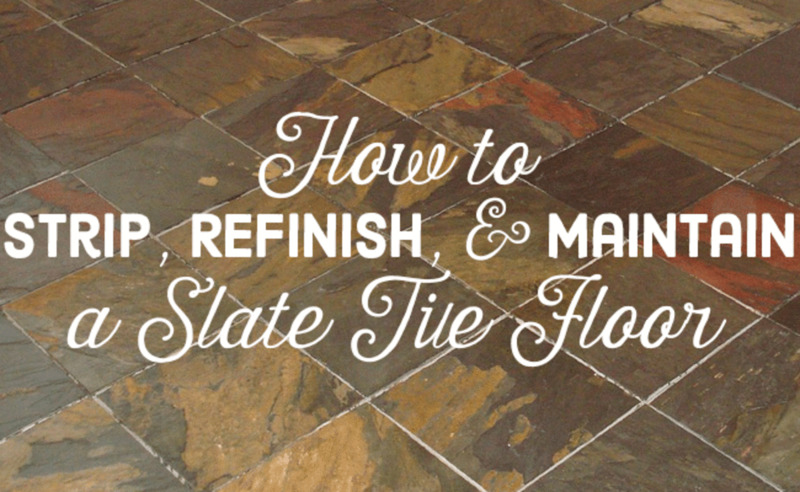 Unless your floor is relatively pristine, you do not want to hand sand it; that will simply take too long. There are four types of sanders for various kinds of removal. The "big gun" is the drum sander. This is the machine to use for removing large amounts of wood and leveling the floor. The large orbital is better for light removal or simple surface prep. You can use this machine if the drum sander just seems like too much to handle. Just use a lower number (36 or so) sandpaper. The edge sander is for areas that the larger orbitals won't reach. Chances are you'll need to use this sander regardless of which of the other two you use. A professional edge sander will cover more area than a workshop sander and make the job faster and easier. This will not reach into corners very well, though. Finally, the corner sander is for exactly that: the areas of the floor where two walls come together at a right angle. This is the only sander you are likely to buy rather than rent. The good news is you can get a very high-quality sander that fits neatly into corners for $40 or less. This is a sander specifically designed for resurfacing hardwood floors. It's a large (110 lb) machine which typically takes a large sandpaper belt in a continuous loop. The machine is designed as a "walk-behind" tool. They can be rented at most major hardware chains at reasonable rates. The upside to using a sander like this is you "check-out" the sand-paper grades you want to use along with the machine and then pay for the belts you've actually used (and the time you've had the machine) when you return it. Most major chains will pro-rate the charges by the hour. Be sure to ask. It has its drawbacks. 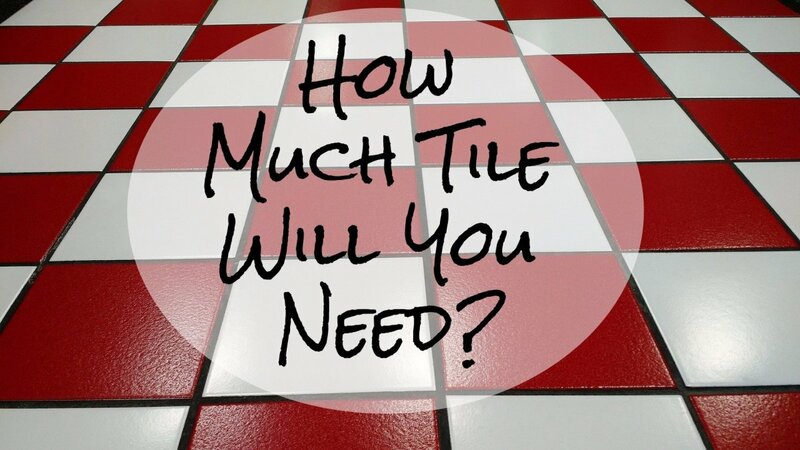 It will take a large amount of surface off in a very short amount of time. For this reason, it's a risky tool to use as it's very easy to gouge the floor and leave grooves in the wood. Those grooves will be even harder to deal with, later, than the reason for sanding in the first place. Also, it will NOT get into corners. With this type of tool, technique is virtually everything. You should never have the machine running at a stand-still. Whenever it is running, it should also be in motion. You should sand in the direction of the grain of the wood. As you sand with this type of machine, be sure to push it forward at a constant rate. Initially, sand a small area with it, use a shop vacuum to remove the sawdust, and then take a look at the effect. If too much wood is removed, then quicken your pace; if too little, slow down a bit. If you do gouge the wood, go over it with the sander at a 45° angle to the gouge, keeping the machine in motion at all times. When removing a gouge, move the machine at a faster rate than you would during normal sanding. This will take some time as you will want to remove the gouge in small steps then remove the dust with a vacuum. This sander is just an extra large (120 lb) version of an orbital sander. Its benefit is that it can help you level a floor without taking too much wood away. It will certainly remove varnish and shallow stains and burns. For stains and burns that run deeper, the drum sander may be the better choice. As with the drum sander, expendables such as sandpaper, scouring pads, and the like are picked up at the time of rental and charged for upon the machine's return. Unlike with the drum sander, gouges are much less likely. It's also an easier machine to operate, as the orbital action cause the machine to "glide" over the surface of the wood. With this type of tool, your technique is not as important, but you still want to sand in the direction of the grain of the wood, and you always want the machine moving as it's running. Neither the drum nor the large orbital sander will allow you to get all the way up to the intersection of the wall and floor. This is what the edge sander is for. Like with the orbital, technique is not as important, but you do want to sand in the direction of the grain and keep the sander moving if it's running. This is the sander you are most likely to purchase and least likely to rent. There are a number of models available now, and they will all reach right into the apex of the corner. The best are lightweight yet powerful and are designed to sand into the smallest crevice. They also fit neatly into the hand. The rented sanders (drum, large orbital, edge) have some particulars about them that you, the renter, should be aware of. The drum sander weighs about 110 pounds. If you are sanding on a second (or higher) floor or need to haul it up a step or two, you may need a helper for assistance. The drum will sand a very large area before the sandpaper needs to be replaced. Also, changing the paper roll is relatively easy. You will also want to clean the machine completely before returning it. Most rental outlets will charge a cleaning fee if you return a dirty machine. The orbital sander weighs about 120 pounds. As with the drum above, you'll need a helper if you are sanding above the ground floor just to lift it. The paper is quite large (roughly two by three feet) and you'll be able to sand quite a large area before having to replace the paper. Paper replacement is very easy. Cleaning this machine will also help you avoid a cleaning fee upon return. Edge sanders go through paper slightly faster than the two above. It's also a heavy machine but nowhere near even 25 pounds. Still, it's a good rental option if you want to get the floor ready for stain or be able to stain and seal in short order. Regardless of sander type, you'll want to start with a very coarse grit (20 or 36) sandpaper and work up to finer grit. Remember that the lower the number, the coarser the grit, and the more wood that will be removed. The higher the number, the finer the grit, and the less wood will be removed. Start with 36 grit for normal wear and tear sanding or with 20 grit for deep stains and or burns. Once you've done the entire floor to the same depth, move up to a higher grit ending with 80 or 100 just before staining or sealing. This may require you to make three to six passes with higher grits each or every other pass. You should always sand the entire floor the same amount, regardless of what imperfections you are trying to remove. Sanding is always about more than just preparing the floor for a new finish. It's also about getting the floor smooth and level again. Unless you are sanding the edges where the wall and floor come together, you always want to sand in the direction of the grain or plank. The only exception to this is if you create a gouge with the drum sander. In that case sand the gouge at a 45° angle to the planking. Once you've sanded and are sure you have a level floor and all the imperfections have been sanded out, you want to clean. The best process I've found is to vacuum with a squeegee attachment and shop-vac. A good shop vacuum will allow you to clean large areas of the floor quickly. Using the squeegee attachment, you can vacuum large areas of the floor. You can also detach the squeegee and extra hosing to get into the corners where dust accumulates. Mopping with plain water is the next step. You don't want to use a soap solution or any other type of cleaner. By using clean water, you will not add impurities from soap or oil. Later, you'll be using mineral spirits for a final cleaning anyway, so why complicate matters. Simply use clear, cool water and rinse the mop quite often. You'll also want to let the water dry afterward so mopping should occur four to six hours before you apply the stain and/or finish. Mopping will give you a good idea of what the finished floor will look like. The moisture from the mopping will mimic what the finished floor should look like. Note: unless you bleach the wood, it will darken at least slightly with the application of the sealant. If you see imperfections as you mop, make a note of where they are and correct them by sanding again if necessary. 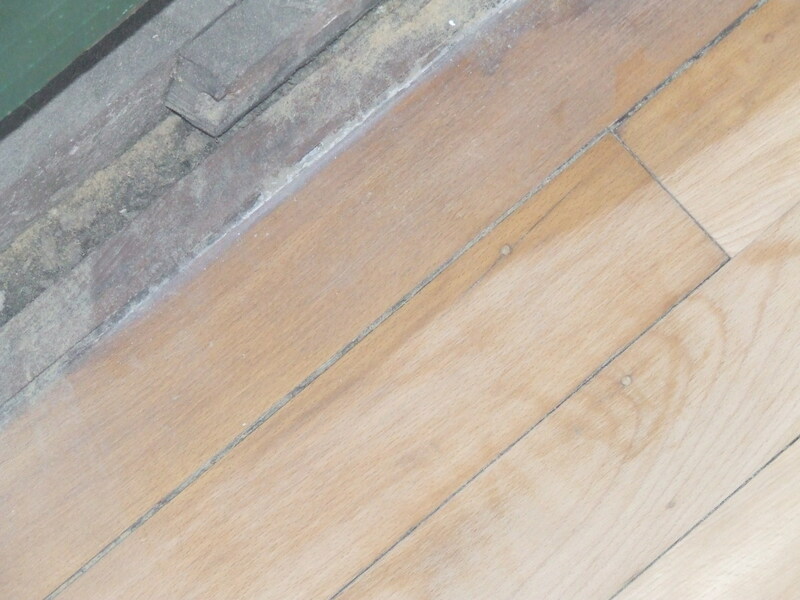 Once the floor is sealed, it will be very hard to correct those imperfections, though not impossible. Small imperfections tend to really stand out once a finish is applied. Finally, vacuum one more time. OPTIONAL! YOU DON'T HAVE TO STAIN YOUR FLOOR. Choose a stain that will complement your décor. Perhaps the most popular is walnut, and this particular color comes in at least three shades; light, medium, and dark. Stains come in two basic formulations. Water-based and oil-based. The water-based stain isn't a true stain. Once applied, it sits on the surface of the wood and acts more like a paint than stain. Also, water-based stains tend to be brighter in color and less natural-looking. The advantage to a water-based stain is very fast drying times. Two hours for drying is typical. Oil-based stains are much more natural-looking, actually penetrate the wood, and are much slower to dry; up to eight hours, in fact. As with sanding and cleaning, stains should be applied along the grain of the wood. My favored method is to apply the stain with a three inch (or wider) brush and then, after a minute or two, a rubdown (with the grain, of course) with a clean, dry rag. The rag and brush should last, without replacement, for the entire surface of the floor. Always follow the manufacturer's recommendation on drying times for stains. This could be eight hours (if oil based) or longer. This is not the time to rush your job! Once you are sure the stain is dry, go over the entire floor with mineral spirits. A quart of mineral spirits will clean 500 to 800 square feet of floor. Apply the spirits directly to a clean, dry rag and rub into the floor in a circular motion, followed by a with-the-grain motion. Mineral spirits will remove any residual stain sitting on the surface along with dust and other impurities that can become trapped in the sealer. This is the final step before sealing the floor, and you should do it whether or not you've applied a stain. Using mineral spirits as a cleaning agent will ensure that the sealer you apply sticks to the floor without a chance of bubbling up or coming off. Mineral spirits will also evaporate leaving a clean, dry, impurity-free floor. YOU SHOULD ALWAYS SEAL THE FLOOR. You can opt not to seal the floor with modern sealers, though I highly recommend using them. Sealers are primary water based which means they dry fast, are easy to apply, and easy to clean up after. 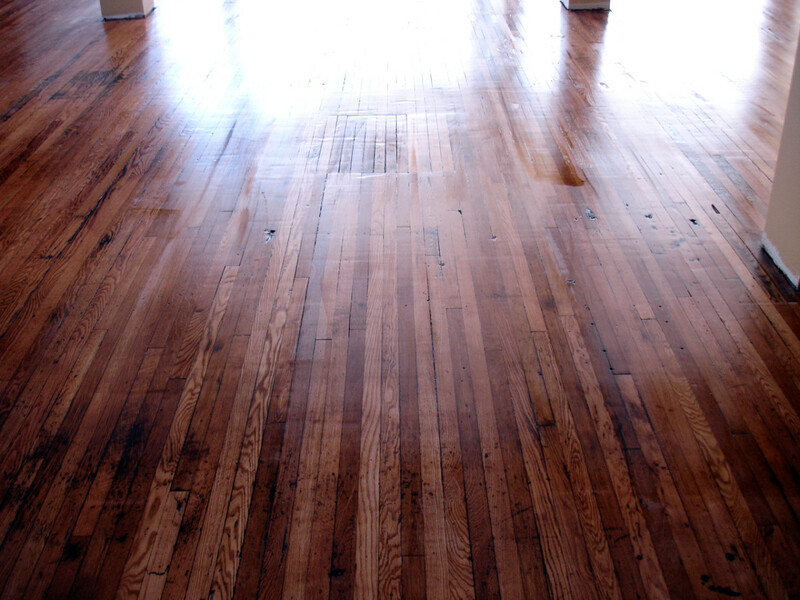 Decades ago, urethane was not available and the common method of sealing a floor was with oil. 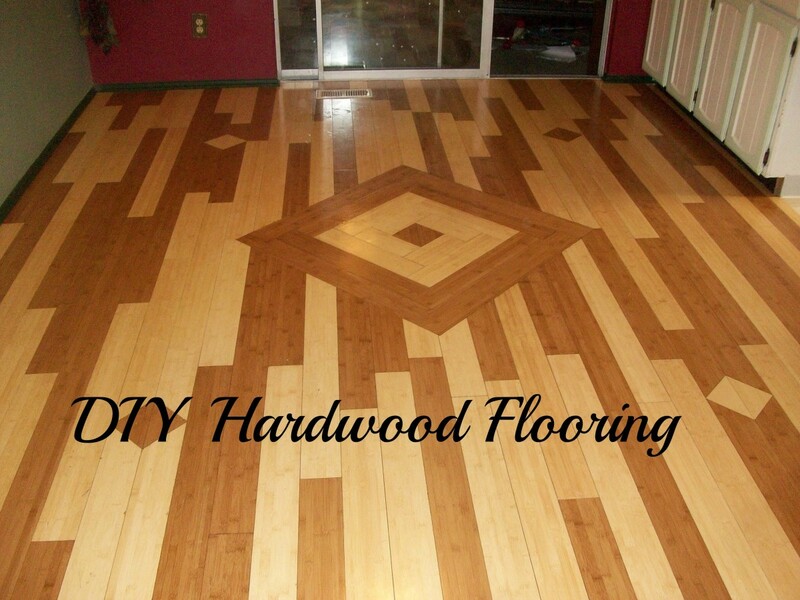 By using an oil seal you can then clean the floor with products designed specifically for wood floors. A quick google search of "floor oil" will result in a number of products designed specifically for this purpose. Tung oil is likely the most popular, but there are also formulations out there consisting of other types of oil such as linseed. If you do use an oil sealer, be sure to follow the manufacturer's recommendation on drying times. To apply the oil seal, follow the manufacturer's recommendations, but typically you "paint it on" like you would the stain and then, after a few minutes, rub it in, with the grain of course, with a dry clean rag. This modern finish has some definite advantages. It's easy to apply, dries fast, and, depending on the gloss level you choose, can look highly polished like an oiled finish. Best of all, it is water-based for quick and easy clean-up with plain soap and water. A semi-gloss will give you an oil-finish look. A gloss will give you a high luster. As with an oil finish, follow the manufacturer's recommendations on applying and drying times. Prepare to leave the house or apartment for a full day once finished. Urethane sealers take two hours to dry to a tacky finish so another coat can be applied, and up to three days for a hard, scuff-resistant finish. Regardless of sealer, be prepared to put down at least three coats for maximum protection. To provide the best protection for your floor, try applying heavier coats of sealer in high traffic areas such as thresholds, hallways, and well-traveled paths. Thanks billyasutindillon. I've linked your hub here. Very well done - I have a little hub on sanding :( and finishing - you cover it all here. Very good hub, the information is detailed and well explained. Very informative hub! Wood floors are to die for. They are warm, beautiful and easy to keep clean.